Success often, if not always, implies overcoming challenges. In this regard, business is definitely no exception. Changing market conditions, severe competition, financial issues, staff turnover etc. etc. How to make sure your business does not deviate from the chosen course in this ever-changing environment? Going with the flow, without the right “navigation tool” is surely not a good idea. What is the compass that can help you stay on the right track in business? The answer is strategic management. Business Dictionary defines Strategic Management as systematic analysis of both external and internal environments “to provide the basis for maintaining optimum management practices”. Focusing on long-term planning, effective strategic management is a tool to ensure that a company follows the pre-defined direction. It also implies timely corrective actions in case of deviations from the course, to put an organization back on track towards achieving its strategic goals. First and foremost, you should define your strategy and make sure it is in line with your organization’s values and mission. This is what originally sets the direction and predetermines your strategic objectives. 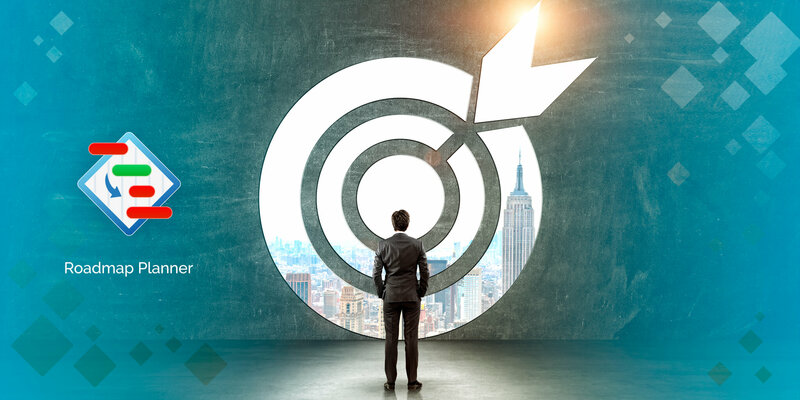 What makes a goal a strategic objective? For one, it is its long-term orientation. Secondly, strategic objectives are aimed at gaining a particular market share, increasing the company’s competitive position, developing the so-called competitive advantage. The analysis of both internal and external environment will adjust and shape your objectives in accordance with the current market situation. Understanding your company’s footing can help you proceed with the strategic planning step. It implies making optimal decisions and working out a plan based on the conclusions you’ve reached in the previous stages. Strategic planning is the blueprint for hitting your strategic targets. 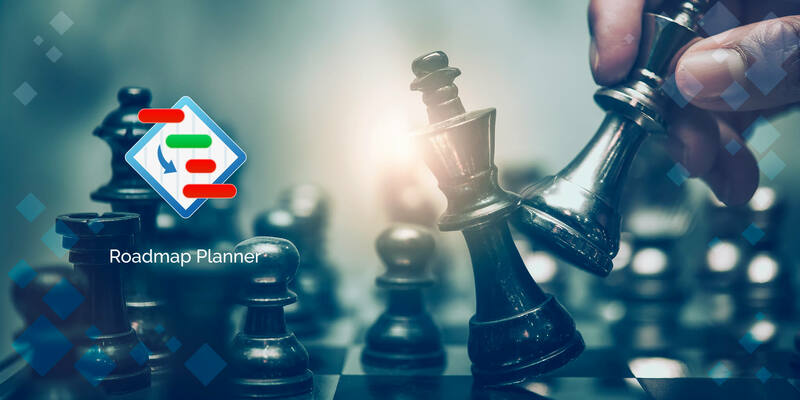 It is a good idea to use a dedicated strategy-building app, like Roadmap Planner. It is a perfect tool for visualizing your strategies, giving you a bird’s-eye view of your plans. Last, but definitely not the least important stages are strategy execution and monitoring. That’s where many pitfalls hide. What are they? Check out below! Why do companies fail to execute their strategic plans? First of all, many companies stumble on the planning stage. A frequent mistake lies in an inadequate evaluation of company resources (financial, human, etc.). If a plan was not developed thoroughly and is far from the company’s real capabilities, exists in a vacuum, how can it be executed at all? Lack of collaboration between various divisions is another pitfall you should avoid while working on your company strategy. Make sure all the responsible parties take part in the process. Roadmap Planner, for example, lets you invite members for collaborative work on strategies. Ok, let’s suppose you have a perfect, thoroughly developed strategic plan. That’s undoubtedly great – however, it is just half the battle. No less vital is its successful execution and turning your strategy into revenue, growth, and profits. According to a 2016 survey, poor communication turned out to be the top reason for strategy implementation failures. As surprising as it may seem, making your employees, let alone all the management team, aware of your company direction is indeed critical. Why is it so important? First and foremost, your plans will not execute themselves, the people who fuel the realization of your company strategies will. In case your managers are not informed of company goals, how can they make the right tactical decisions? Good for you if those do not take your company off the course. But in the worst case scenario you may end up far from achieving the desired strategic goals, with lots of time and resources having already been wasted. Not an appealing prospect, right? To avoid that, however tight your schedule may be, allocate time to communicate your company’s strategy to the workers. A professional strategic planning software, like Roadmap Planner, includes a presentation feature. So, you can not only visualize, but also easily display your strategic plans. That’s a great way to make the strategy as tangible for your employees as it is for you, who’d developed it and already knows it from the inside. A visualized strategy is far more appealing than a verbalized one. Understanding the strategic management plan also contributes to a higher motivation and engagement of your workers. It drives them from mindless execution of their daily tasks (often done just for the pay) towards treating the demands of the day with a greater goal in mind. Needless to say, a motivated worker usually yields better results. On the one hand, you should apply the right KPIs to track the performance and validate your company’s achievements towards strategic goals. If they do not yield desired results, revise your business processes and change current tactics. On the other hand, there are changing market conditions. Modern high-velocity environment requires businesses to apply dynamic approach in strategic management. To put it simply, you should be ready to adapt and course correct, if required. What if you don’t notice that changes are needed? As we’ve mentioned, strategic goals are long term and require a bird eye’s view. It is easy to get lulled into a false sense of success by minor day-to-day achievements. Remember to monitor the big picture to stay on course towards your strategic objectives. Factors defining a successful strategic management are diverse. We’ve strived to cover some of the most frequent ones, as the importance of strategic management in an organization cannot be overestimated. Make sure to thoroughly work out and visualize your strategic plans, communicate them to your teams, execute, and constantly monitor the progress. At the end of the day, a good strategic management process is what makes or breaks your business in a competitive environment in the long run. Make sure it is effective!